Here we are – 2 days from Christmas, and I’m just not really in the mood for it. I’m guessing it’s because I live in Minnesota and there is no snow on the ground. Well, I take that back, there are a few patches here and there, but not enough for it to be considered a ‘White Christmas’. Nope – not by a long shot. On top of that fact, my tree is only ‘mostly’ decorated. See, I did it one night while the kids were in the tub. I decided to start on one side, then work my way to the other. (I went right to left.) When I got about 3/4 of the way done, a kid (possibly both kids) started yelling at/to me from the tub, so I abandoned my project and went up to find out what was going on. When The Blue One saw that I had started decorating the tree without him, he hung his head a bit and had a sad look on his face. In my defense – nobody EVER wants to do this with me. I’ve given up on the idea of doing this as a fun family bonding event with Christmas music in the background. Nope – not gonna happen. So, anyway – Blue hung a couple ornaments and decided he wasn’t into it, so that’s all the farther we got. Fast forward 6 days, we invited the neighbors over for cards & wine. We put away the ornament box where it had been sitting for a week, untouched, and I never got it back out. 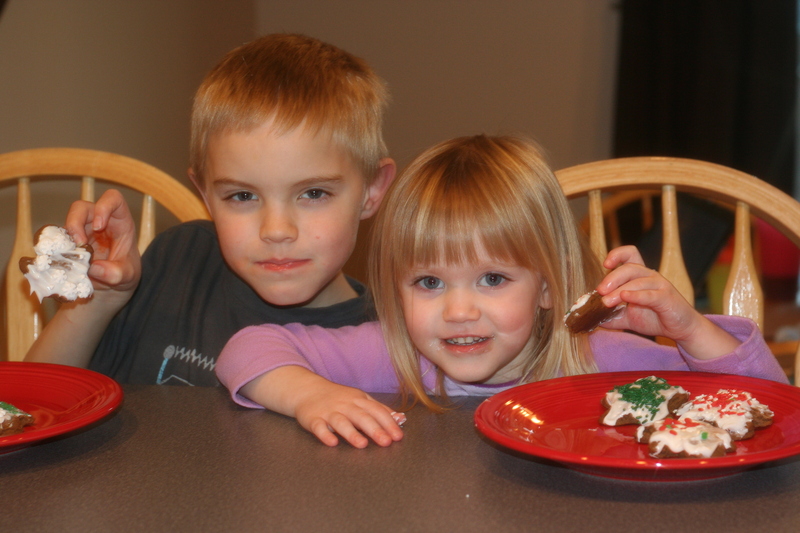 So, yeah….Christmas spirit is not exactly abounding around here. This year, Blue said he wanted to make gingerbread men for Santa. I’ve never done rollout/cutout cookies, and I wasn’t looking forward to it, but I bought the stuff and borrowed cookie cutters. The I got smart and went to U-Bake and bought already cut out gingerbread ‘boys’ (that’s what she called them), and today we baked them and the kids each decorated 4. The last Christmas present arrived today. It’s for The Pink One, and it’s my cop-out gift. I fully intended to make these for her – I had bought one of the patterns, and I had the fabric all scoped out, but I just never pulled the trigger. Then I saw a post by Anna from Crafty Girls Workshop on her FB page saying that she was moving her studio and was selling samples from her studio. SOLD! It’s a doll quilt, 18″ doll dress, and matching skirt for Pink. Grandma took care of buying her an 18″ doll for Christmas, so she’ll be all set. I heart, heart, heart these fabrics. I also know that I would have started and never finished in time for Christmas, so I’m glad I saw Anna’s post and was able to snap up the quilt and doll dress (she made the skirt for Pink). 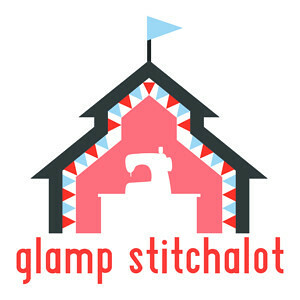 BTW – in addition to Anna’s store site, she also has a blog and an Etsy shop. I told her I wished she did her pillowcase classes via Skype since I just can’t make it to Texas for a class! Here it is – isn’t it just adorable??? I’m sure this is the last you’ll hear from me until sometime in 2012. I’m not really doing anything crafty or creative or interesting to share with you these days – maybe THAT should be my New Year’s Resolution! This entry was posted in Family Stuff, Quilts. Bookmark the permalink. Sorry to hear about the lack of a white Christmas. We haven’t had a white Christmas here in San Antonio, TX since I moved here 23 years ago. I hope the Christmas spirit sneaks it’s way in a little bit this year for you. 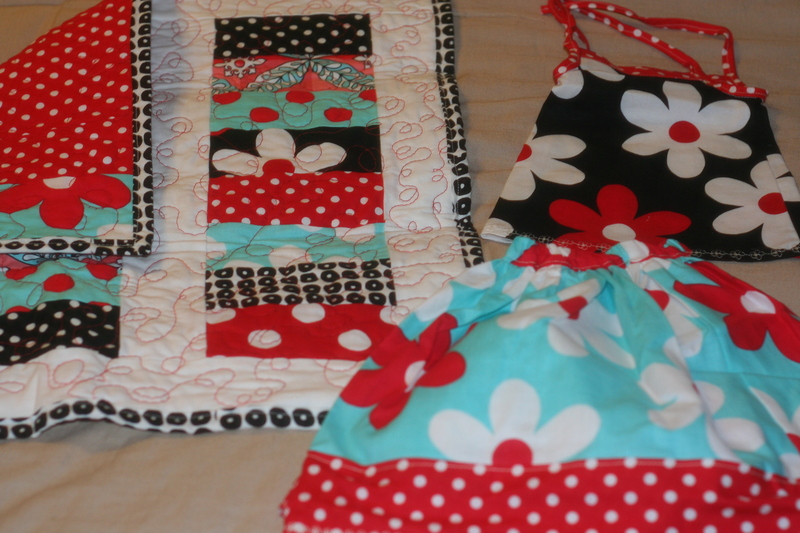 Thanks for sharing your post about the skirt, dress and quilt! I’m glad you like them and hope you’ll post a picture after she opens them!